“The National Safety Council believes that every state in the Union should have real applications for automobile license applicants and should revoke the driving privileges of motorists convicted of operating a car while intoxicated, of taking a human life while driving, upon being convicted of a felony, upon being found physically or mentally incapable of operating a machine and for other good causes,” declared Mr. Williams. 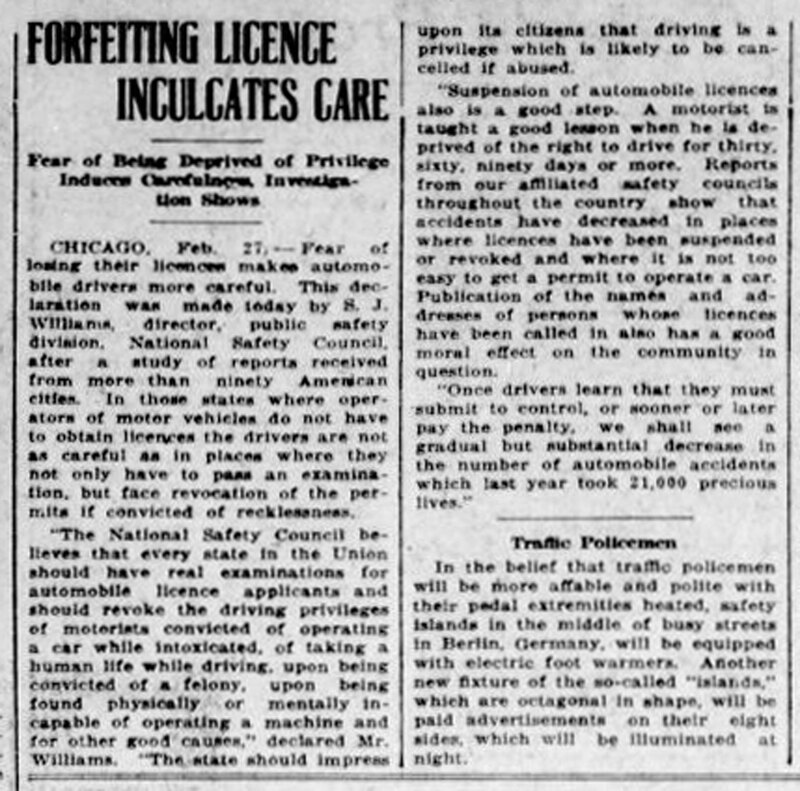 “The state should impress upon its citizens that driving is a privilege which is likely to be cancelled if abused. We also liked the second story in the photo. It’s about traffic police in Berlin being provided with electric foot warmers and the elevated octagonal stands they stood on to direct traffic being used for advertising.